UP polls: Is family feud forcing CM Akhilesh Yadav to explore options outside Samajwadi Party? Akhilesh Yadav, chief minister of poll-bound Uttar Pradesh, seems to have been inspired by Rice’s otherwise rich experiences. 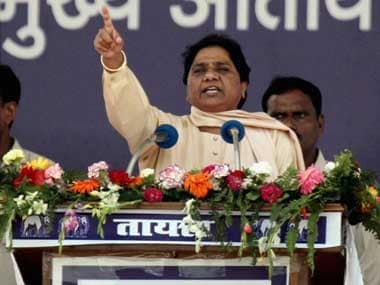 He, who has already faced too many twists and turns in wake of the recent generational war within his family and government, looks ready for another adventure at the next turn: He might break away from his party and fight the coming election in alliance with Rahul Gandhi’s Congress. Should this happen, be prepared to witness an exhilarating electoral spectacle this time. Opposition parties would stand confused, not knowing who to target for attacks – Akhilesh’s governance or Mulayam’s vote-bank politics. All existing political apple carts would turn upside down. And the speechwriters of different political parties will have a tough time finding fresh content. Indeed, all this is possible. Even probable. But not certain. Who can predict things in politics except for our psephologists? 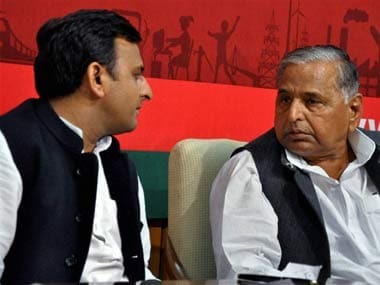 Already, there are enough political signals emanating from the horse’s mouth: First, Akhilesh has already made it clear that he would now start the election campaign "without waiting for anyone". This means that he would not wait for the party high command's green signal indefinitely. 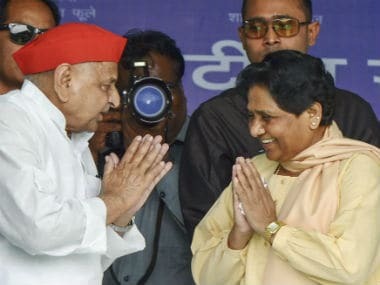 In an interview with The Times of India published on 14 October, the chief minister made it a point to say categorically: "I reiterate that Akhilesh Yadav can be cornered for the time being, but cannot be defeated." He further said that he would take the state to greater heights in his second innings. Second, Akhilesh has generally been adopting a softer than usual attitude towards Rahul Gandhi of late. But on 10 October, when he lent his support to the latter’s "khoon ki dalali" remark, it was perhaps natural that a lot of eyebrows were raised. Talking about Rahul, he said: “Bayaan diya hai to soch samajh ke diya hoga. Uske peechey unko jaankari zaroor hogi (He must have strong reasons to make the statement, and he must be in the know of things)." What was even more significant was that the chief minister made it a point to say that he enjoyed "good relationship" with the Gandhis. Third, Akhilesh has now moved out of his father’s house. He has got for himself a new address on the same Vikramaditya Marg. It’s a huge development. Fourth, team Akhilesh now operates from a separate "war room", not too far away from the CM House. It's significant that this war room has nothing to do with the official bungalow that houses the Samajwadi Party office. Fifth, Akhilesh has already hired Steve Jarding, a lecturer in public policy at Harvard, for advising him on election campaigns. He has also hired a deputy campaign manager, Advait Singh, who happens to be another Harvard alumnus. It’s clear that image wise, the CM wants to present himself before the masses as an “anti-crime, anti-criminal crusader, and a progressive, pro-development man with an independent mind”. Sixth, a visibly pained SP supremo, Mulayam Singh Yadav, who has had to do a lot of mending work within the party, looks tired and sad. Look at what he said at a function to commemorate party ideologue Ram Manohar Lohia in Lucknow on 12 October: “There was a time when party workers would go to any extent to fight for my cause; but now when I’m being attacked, nobody defends me”. The septuagenarian leader was perhaps shaken by recent events. But what happens if the rebellion doesn’t take place at all. In that case, the seniors controlling the Samajwadi Party will have to give more and more elbow room to the chief minister at the expense of chacha Shivpal Yadav. Or else, you never know, the two so-called young leaders – Akhilesh and Rahul – might join hands to create a new wave in Uttar Pradesh. 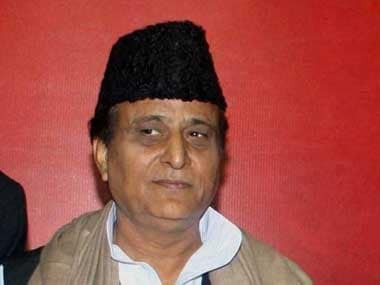 1UP polls: Is family feud forcing CM Akhilesh Yadav to explore options outside Samajwadi Party?